I Know It is a new math practice website to help students master the Common Core Standards. The site is interactive and has over 150 math activities, and counting, for students in grades K-5. This is a great tool for every elementary teacher to help students master the standards. Summary: The creator of SuperTeacherWorksheets, Tim Weibel, has struck again with I Know It.com. I Know It is an interactive math practice site for elementary students (students in grades K-5). The site is in public beta right now. So, that means it is free to use. However, it is a given that at this stage of development, there may be bugs and incomplete pages. One of the things I like about this site is that it has reputable roots. Tim has been powering SuperTeacherWorksheets for years. As a teacher, this gives me piece-of-mind. I know that he will be sticking with this project based on his work on current projects. There is nothing worse than committing to a site or product only for it to go out of business, right Google? The site is clean, uncluttered and has a modern design. It is free of ads and popups. This is a plus, especially for younger students. 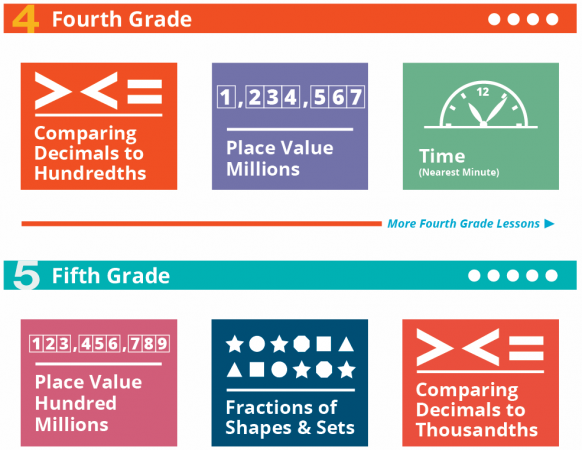 The lessons align with the Common Core math standards. Since the majority of students are on this curriculum, this may be of benefit to many classrooms around the country. Also, this makes I Know It another tool that teachers may add to their virtual pockets for students on their way to standards mastery and success. The questions presented here are really good. They are rigorous and relevant to the Common Core standards’ expectations. This is an area in which I Know It distinguishes itself from the competition. There is a good infusion of story problems to help the teacher truly identify the masterly level of students. Students may use question hints as a launching pad into questions. If a student is marked incorrect on a question, I Know It provides a brief explanation. It would be a nice addition in the future to have video lessons embedded in the software or even voice over for lesson and explanation. This would be particularly helpful for students who are struggling in math and reading. I cannot find any cons to the site at the moment, especially since they are just taking it on a yearlong test drive. Things they have in the immediate works. Tim and his team are hard at work. They are currently working on a user management system that will allow teachers to easily manage a classroom of students. An analytics dashboard is also in the works. I Know It is located in Tonawanda, NY. This is a small city between Buffalo and Niagara Falls. I Know It is from the same DNA as SuperTeacherWorksheets.com and ModernChalkboard.com. I Know it has the potential to be a super site for elementary teachers and students. The level of rigor that the site provides makes it a perfect tool for the modern standards driven classroom. In a few years, based on the goals of Tim and him team, I can see this site giving i-Ready and MobyMax a serious challenge for the hearts and minds of elementary teachers and students everywhere. If they add detailed and compliant assessment data, teachers could use this tool to assign diagnostic assessments, and establish learning paths for students to ensure desired outcomes for students in the elementary classroom. Give I Know It a spin today. There are four levels to play to complete this game. Each level is divided into three stages. To begin, players start by learning the home row keys. Each stage is a continuation of previous lessons, introducing new letters players progress through the game. Summary: Dance mat typing is a fun way to learn typing. Students are slowly exposed to the various keys of the traditional keyboard. Arranged in level, this four part typing series will move you from a pecker to a pro in a matter of days. This typing lesson is absolutely free. In addition, the interface is free of ads. This makes it ideal for classroom use. This is in the browser. Therefore, no additional software installs are necessary. However, adobe flash is needed for the game to operate. The game is very child friendly. Students love the animals associated with the various stages. I get the feeling as though the developers and rest of the team had a lot of fun doing this project. The software guides the students through the stages of the course. However, students may rejoin the course at various stages. Elementary students will find these delightful, older students may become annoyed at the juvenile nature of the characters. This program is a British Broadcasting Corporation (BBC) production. This a service paid for by the taxpayers of the United Kingdom (UK). There is not much to complain about here. The exaggerated accents of the animals may be a tad too much for older users. The animated dancing and catchy songs sure holds the attention of students. There is no way to effectively keep track of mastery. Are you looking to creating surveys and quizzes on the fly to meet your specific needs? Survey Anyplace may be the tool for you. Summary: Survey Anyplace is a powerful application that does exactly what its name suggests, create surveys. The surveys are totally web-based. The surveys created will adapt to any screen that the respondent uses. The obvious aim for Survey Anyplace is to create surveys. This tool allows the survey creator to create interactive quizzes and surveys that adapt to the device that the respondent is using. Survey Anyplace’s interface is sleek and modern. Within the blink of an eye, you can have your survey up and running. The software is well designed and aesthetically appealing. The buttons are well positioned, and it is easy to see what needs to be done to accomplish your survey. Survey Anyplace makes it very easy to get started using the software. All you need is an email address, and you are on your way. When you log in for the first time, Survey Anyplace literally offers to hold-your-hand and walk you through the creation process. Survey responses are available in a dashboard that is very easy to use. The collected information from respondents can be ported to email marketing tools to grow your email list. There are many question types to choose from when creating your survey or quiz. Apart from the regular question types you may expect from a survey or quizzing tool, Survey Anyplace pushes it a little further and offers emoji and star rating question types. Survey Anyplace allows survey creators to customize the surveys. This allows small businesses the capability to upload their business logos and so forth. The look and feel of the survey may also be customized even more deeply for paid users. Survey Anyplace is 100% web-based. That means that users have no need to install any software, not even Adobe Flash. The addition of a QR Code distribution option for surveys is a good touch. This could make it even more efficient for people to respond to surveys. 20 Reponses per month is very limiting. This could potentially cause many users to explore other options. For example, an average classroom may have over 25 students. Therefore, if a teacher decides to test this application with a class, it would be pointless. The publisher could find a more creative way to encourage users to upgrade. Survey Anyplace is entering a crowded space where they will be up against established titans such as SurveyMonkey and even a free tool such as Google Forms. Do you want to increase your font options? Well, DaFont may be your answer. You can use DaFont to search for awesome fonts and install them to your Microsoft applications such as Word. You can following my tutorial located here to install fonts that you may like to use in the future. DaFont is a well trusted website. However, as usual, please download the fonts from DaFont at your own risk. We have tested the downloads and we have not found any security issues. As a matter a fact, this site is probably the most popular of all font sites. I have been using it for years without any issues at all. I just recently showed a friend how to add cool fonts to her computer and she had not had any issues. Go ahead and check out my tutorial here. This a great website that will allow anyone, teachers included, to find and enhance their notes and handouts to make their work come to life.